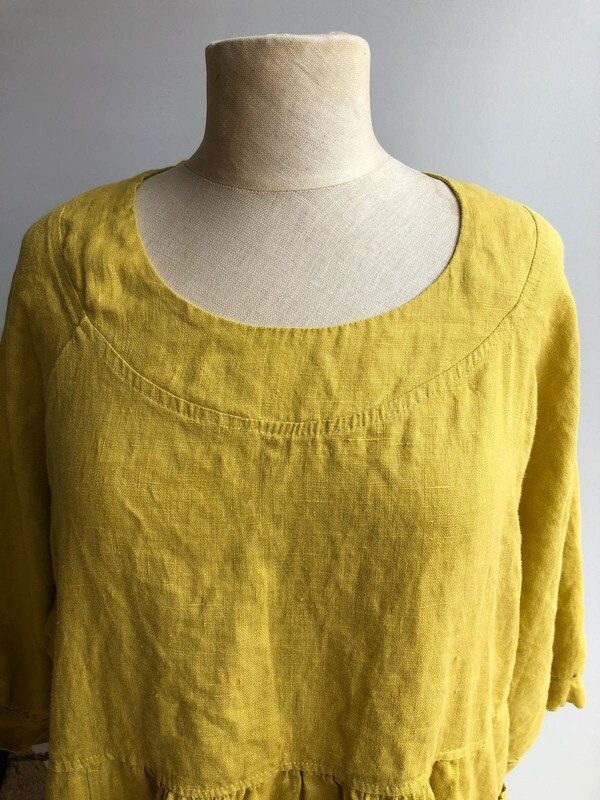 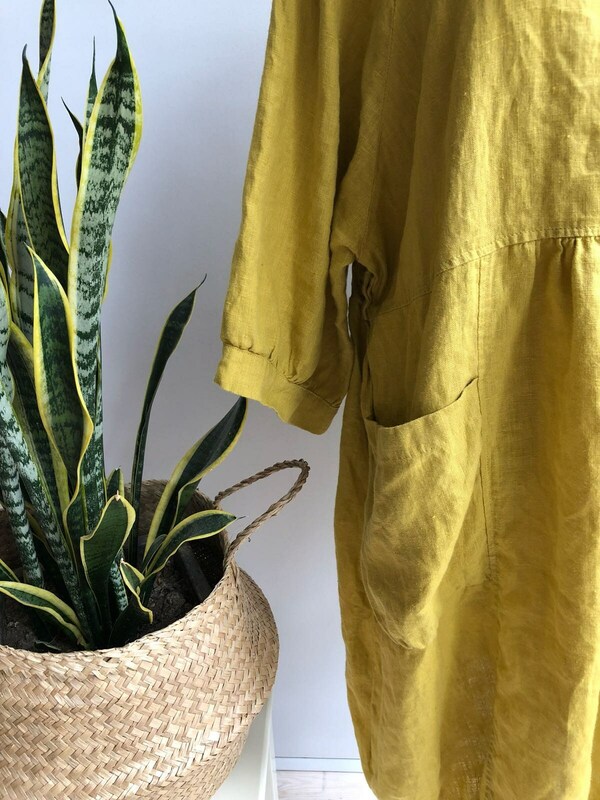 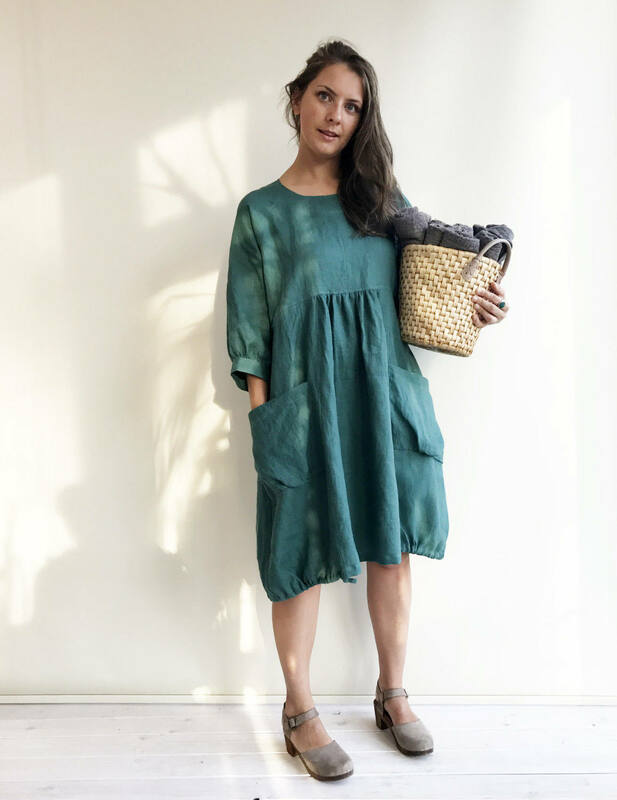 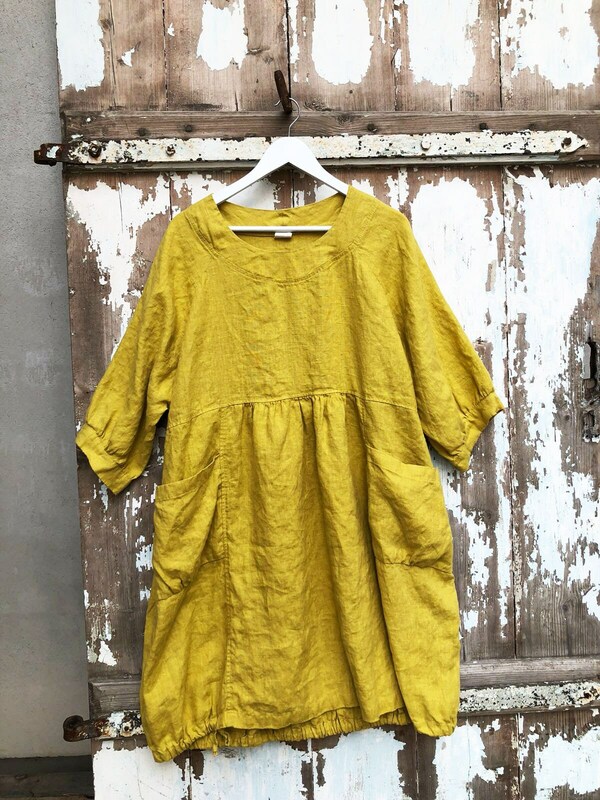 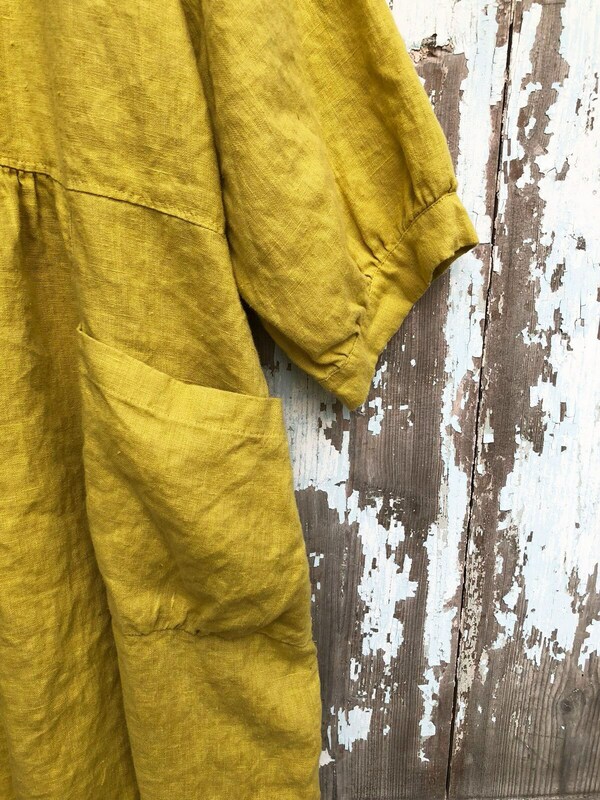 Incredibly comfortable yet feminine linen dress in cheerful 'spring green' with handy patch pockets. 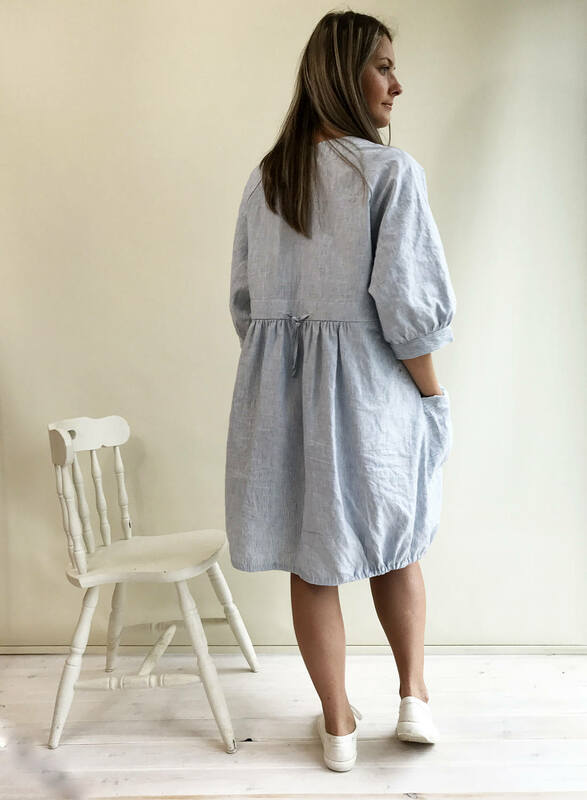 Masterfully crafted from 100% high quality medium weight European linen with great attention to detail. 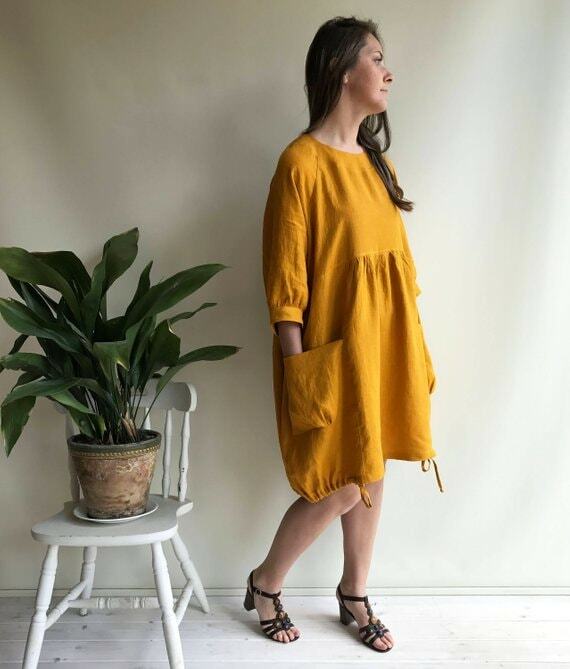 Loose cut with drawstring adjustment at the back and at the lower hems.